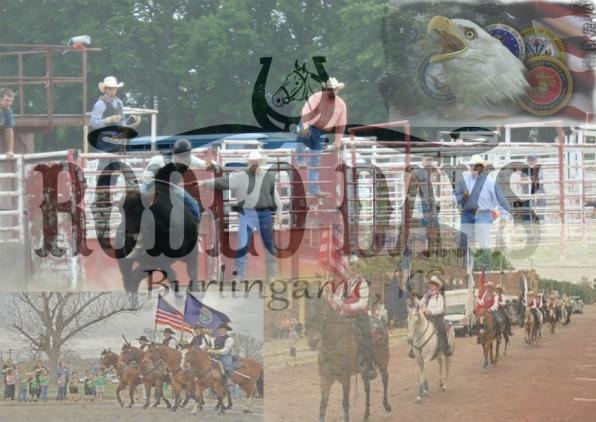 It’s the annual Rodeo Days at Burlingame, “where the rail crosses the trail,” right on Highway 56, Saturday, May 21st, announced Mark Hecht, local Chamber of Commerce official-businessman-enthusiast. It’s Rodeo Days, May 21, but there’ll all kinds of entertainment throughout the day prior to the second performance of the Santa Fe Trail Rodeo, at Burlingame, Kansas. “We have a packed line-up of activities set this year for our community celebration planned to draw attention to the 46th annual Santa Fe Trail Rodeo sponsored by the Burlingame Saddle Club, with performances both Friday and Saturday evenings,” Hecht insisted. About everything imaginable will be available and most unique envision-able when vendors and craftsmen from throughout the Midwest open their displays at 9 o’clock, and are to remain open throughout the day, closing about 4 o’clock. All are welcome to enter the pie baking contest, with an auction of the winners and all competitors’ entries to be at 9 o’clock. Always key to Burlingame Rodeo Days is the younger generation, and that includes the really little ones. The cutest baby contest is at 10 o’clock, with selection to be followed by the Farm Bureau Pedal Pull Contests, for those ages four to just shy teenagers. Braken on the Bricks Car Show will draw classics, customized and more vehicles of almost every color and condition, with entries welcome up to show time at 11 o’clock. What would a rural community celebration be without music? And, Rodeo Days will have some of the best, Hecht promised, in announcing that The Boiler Room Boys and Prospect Bluegrass are set to entertain from 11 o’clock, until 2 o’clock. Anticipated highlight always is the Salute to the American Cowboy Parade with entries expected and welcomed from wherever one wants to come with a horse, carriage, car, float, anything special for all to enjoy. Lineup is on Freemont Street, and parade starts out at 3 o’clock. There’ll be a taco supper from 4 to 6:30, and second performance on the 46th annual Santa Fe Trail Rodeo opens with the grand entry cowboys and cowgirls on parade, at 8 o’clock, with rankest Western action to follow. 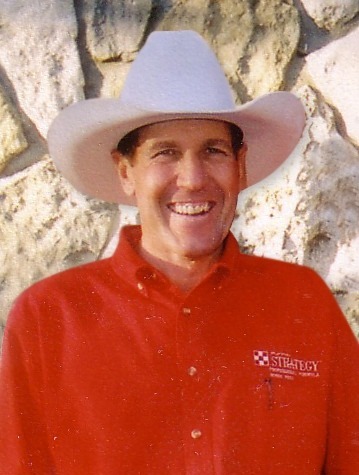 “Ya’ll come to the greatest fun in the Midwest, its’ Rodeo Days right on the original Santa Fe Trail, Saturday, May 21, in Burlingame, Kansas, America,” Hecht welcomed.